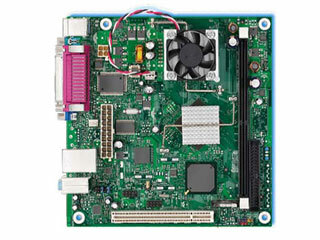 Intel will shortly add a Mini-ITX to its range of desktop boards, in their cost efficient "Essentials" range. The D201GLY features an Intel Celeron 200 series processor soldered directly to the motherboard, with a SiS662 Chipset providing integrated SiS Mirage 1 graphics. Intel are targetting the board at the high-growth "sub-entry" market - for use in PCs costing less than $US299 in both developing and mature markets. 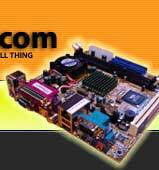 With a 1.33GHz single-core Celeron 215 fitted, the board requires less than 27W of power. The "Little Valley" D201GLY will not be the first foray into Mini-ITX for Intel - many Mini-ITX boards have used Intel CPUs, and their mobile chipsets are often appropriated for the form factor by board manufacturers. But the D201GLY is the first Intel-branded board to appear - albeit with a non-Intel chipset.